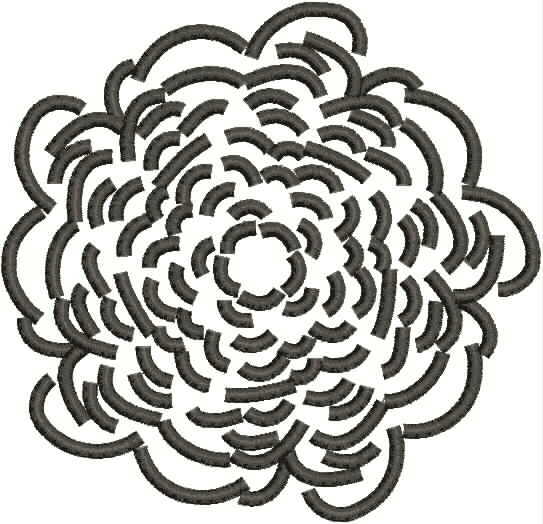 Modern peony flower in sewn out in satin stitches. Perfect for bags and home decor items. Or the hem of a skirt. So versatile! 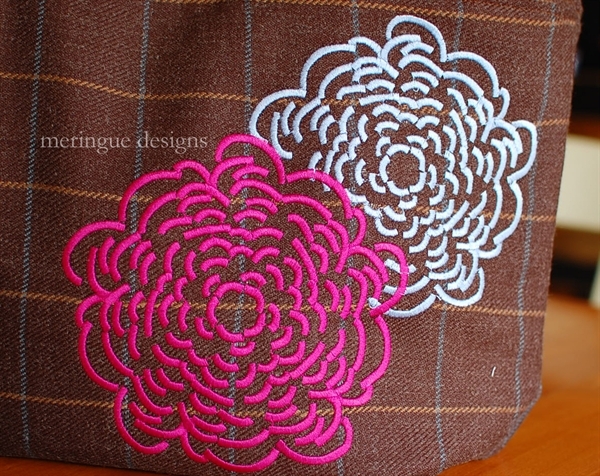 If your hoop won't allow you to stitch out both peonies I have also included a partial peony so that you can sew both, like I have on my wool bag. 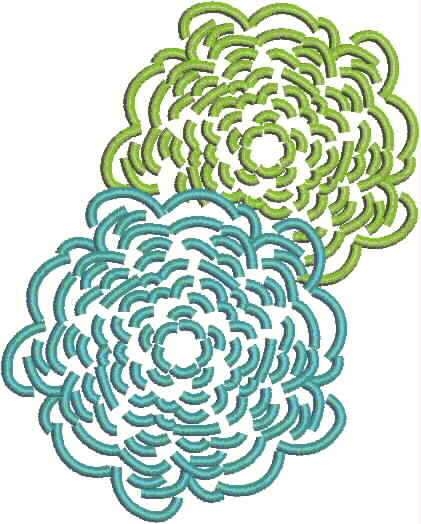 Just sew out the first partial peony, as large as your hoop will allow. 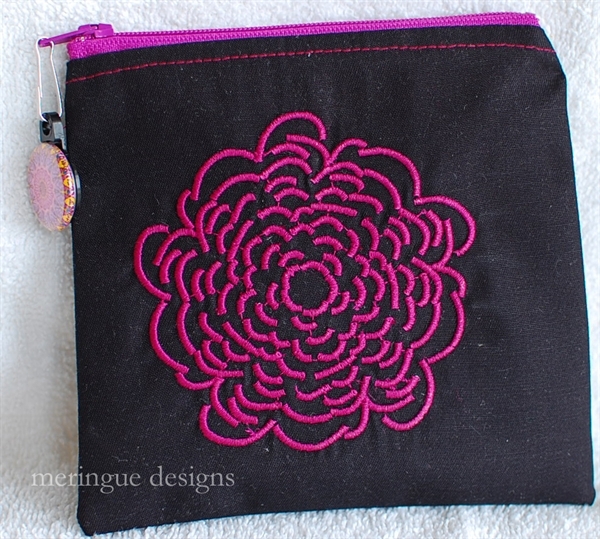 Then re-hoop your fabric and stitch out the single peony--it doesn't have to placed perfectly, just as long as it is somewhat close this will look great. 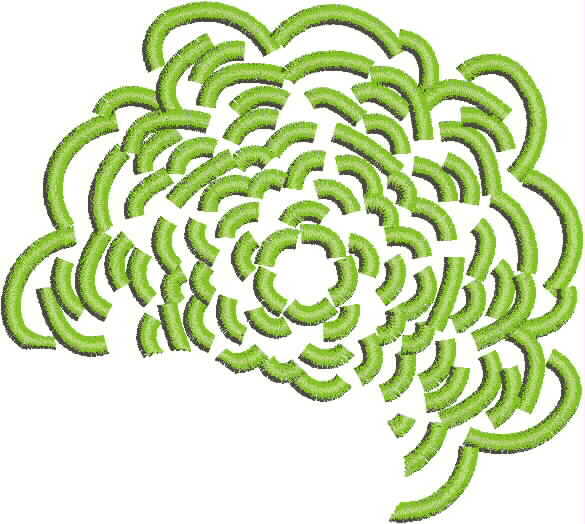 Interested how I digitized this particular design? 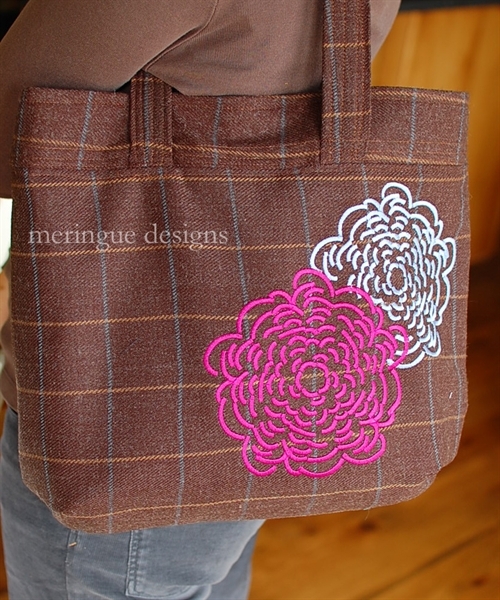 Click here to read my blog post "Digitizing Peonies"
Sewing pattern for this purse is called "The Weekday Purse".